ScreenRant and SuperHeroHype have each landed a new IMAX poster for Iron Man 2. ScreenRant’s poster has Whiplash in profile while SuperHeroHype’s poster has Tony Stark in his mobile Iron Man armor that he breaks out on the race track when Whiplash comes along to ruin everybody’s day. There’s also a new clip over at MSN where we see the animosity between Tony and rival weapons industrialist Justin Hammer (Sam Rockwell). It’s only 38 seconds but from the moment Hammer refers to Stark as “Anthony,” we know all we need about the two. There’s also a funny dig at Leslie Bibb’s character and her little romp with Tony at the beginning of the first Iron Man. Check out both posters and the clip along with the film’s official synopsis after the jump. 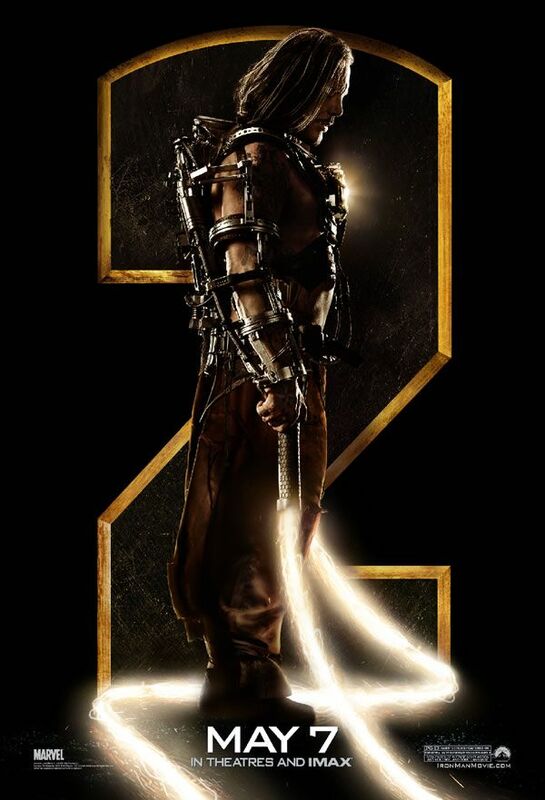 Iron Man 2 hits theaters on May 7th. Paramount Pictures and Marvel Entertainment present the highly anticipated sequel to the blockbuster film based on the legendary Marvel Super Hero “Iron Man,” reuniting director Jon Favreau and Oscar® nominee Robert Downey Jr. 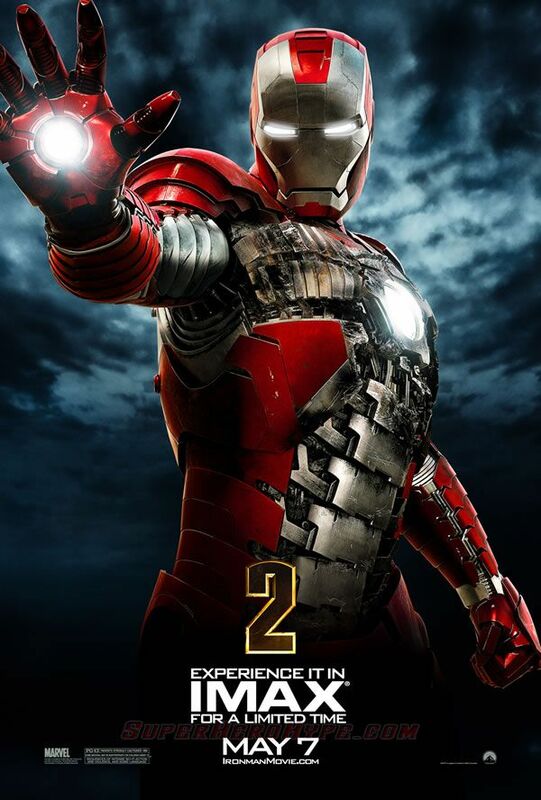 In “Iron Man 2,” the world is aware that billionaire inventor Tony Stark (Robert Downey Jr.) is the armored Super Hero Iron Man. Under pressure from the government, the press and the public to share his technology with the military, Tony is unwilling to divulge the secrets behind the Iron Man armor because he fears the information will slip into the wrong hands. With Pepper Potts (Gwyneth Paltrow), and James “Rhodey” Rhodes (Don Cheadle) at his side, Tony forges new alliances and confronts powerful new forces. Kristen Stewart in WANTED 2?